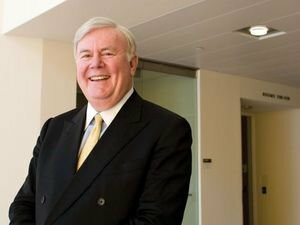 International Data Group (IDG), publisher of Macworld, TechHive, Greenbot and PCWorld, announced Thursday with great sadness that its Founder and Chairman, Patrick J. McGovern, died March 19, 2014, at Stanford Hospital in Palo Alto, California. Patrick Joseph McGovern, known as “Pat,” was born Aug. 11, 1937, in Queens, New York, and spent the majority of his childhood in Philadelphia, Pennsylvania. His career in publishing began while he was a student at MIT, when he applied for a part-time editorial job at Computers and Automation—the first U.S. computer magazine. After his graduation from MIT in 1959 with a degree in biophysics, he was promptly named Associate Editor and became Associate Publisher. In 1964, with the computer industry still in its infancy, McGovern founded International Data Corporation (IDC), now an IDG subsidiary, to provide the industry with timely and reliable statistics on information technology markets. Three years later, McGovern launched Computerworld, a weekly print publication dedicated to keeping computer buyers apprised of industry and product news. Computerworld became IDG’s flagship publication, and in 1972, McGovern began exporting the Computerworld concept, launching Shukan Computer in Japan. Over a span of 50 years, McGovern oversaw IDG’s launch of more than 300 magazines and newspapers and championed the expansion of IDG’s network to include more than 460 websites, 200 mobile apps and 700 events worldwide. Today, IDG brands are found in 97 countries and include PCWorld, Macworld, TechHive, Greenbot, CIO, CSO, Computerworld, GamePro, IDC, IDG Connect, IDG TechNetwork, IDG World Expo, InfoWorld, and Network World. In 1980, McGovern established one of the first joint ventures between a U.S. company and one in the People’s Republic of China, and in 1992, McGovern established IDG Technology Ventures, one of the first venture capital firms in China. In recognition of his great contribution to China’s information industry and venture capital field, McGovern was awarded the International Investment Achievement Award at the CCTV 2007 China Economic Leadership Award ceremony in Beijing. This was the first time the award was given to a foreign investor. The award ceremony was broadcast live nationwide on China Central Television (CCTV). McGovern made 130 trips to China in his lifetime. 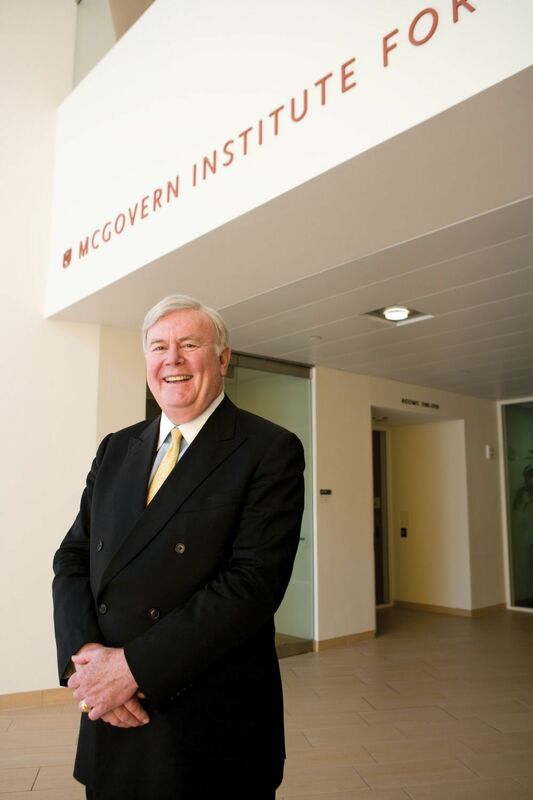 Pat McGovern standing in front of the McGovern Institute. 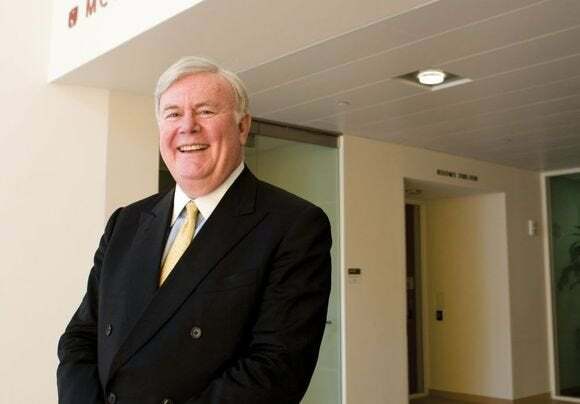 On Feb. 28, 2000, MIT created the McGovern Institute for Brain Research, made possible by a total $350 million gift from McGovern and his wife, Lore Harp McGovern, one of the largest philanthropic gifts in the history of higher education. The McGoverns envisioned an institute whose ultimate goal would be to understand the human brain in health and disease. Nobel laureate and professor of biology at MIT, Phillip A. Sharp, was named founding director, and Robert Desimone succeeded Sharp as director in 2004. In the fall of 2005, the McGovern Institute moved into spacious facilities in MIT’s Brain and Cognitive Sciences Complex in Cambridge, Massachusetts. In 2011, plans were announced to strengthen the institute’s collaborations with colleagues in China through the establishment of three new IDG-McGovern Institutes at Tsinghua University, Peking University and Beijing Normal University. In 2008, McGovern received the Robert L. Krakoff Lifetime Achievement Award from American Business Media. In 2005, McGovern received the Magazine Publishers of America’s Lifetime Achievement Award. His other industry awards include the 2004 Lifetime Achievement Award from the American Society of Business Publications Editors and the Top Innovator in Business Publishing Award from BtoB Media Business magazine. Additional honors included The James Smithsonian Bicentennial Medal from the Smithsonian Institution, The Entrepreneur of the Year from Ernst & Young and the Entrepreneurial Leadership Award from the MIT Enterprise Forum of Cambridge, Inc. He was a fellow of the American Academy of Arts and Sciences, a Member of the Corporation at MIT, Board Chair of the McGovern Institute for Brain Research at MIT and Director of the Whitehead Institute for Biomedical Research. IDG will remain a privately held company overseen by its current Board of Directors. 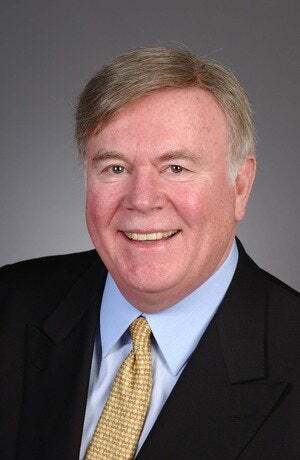 Walter Boyd, former IDG President, has been elected Chairman of the IDG Board of Directors. Ted Bloom, IDG’s current CFO, has been named President and will continue as CFO of IDG. Kirk Campbell, President and CEO of IDC, and Michael Friedenberg, CEO of IDG Communications Worldwide, will continue to lead their respective organizations. McGovern is survived by his wife Lore, his son Patrick McGovern and wife Raquel, his daughter Elizabeth McGovern and husband Scott Early, his stepdaughter Michelle Bethel and husband Erik, and his stepdaughter Dina Jackson and husband Edward, as well as nine grandchildren. Information about a memorial service will be forthcoming. Remembrances and condolences can be shared online at www.idg.com or via email at rememberingpatmcgovern@idg.com.